Today, Ketu in 6th house. Just like Rahu, Ketu also represents illusion as both are illusionary planets but the difference is that Ketu is also the one who removes the illusion and brings enlightenment. Besides this, Ketu represents isolation, separation, spirituality,mystical world, other dimension means things related to alien world, also represents Son, Dog, Intuition, research ability, curious nature, things which we have already achieved in past life and not much concerned to perform in this life. 6th house is 1st of Dushthana Houses (houses # 6, 8 and 12) and 2nd of Upachaya Houses (houses # 3, 6, 10 & 11). 6th house represents things like diseases, debts, obstacles, enemies, disputes, competitions, litigations, under privileged people, pets, daily routine life, colleagues at work place etc. 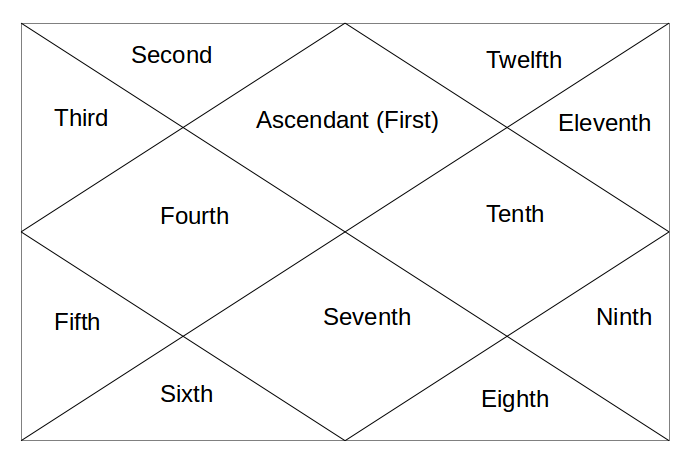 Aspect-wise, in Vedic Astrology, Ketu has 5th and 9th house aspect. He is unable to impact 7th house from its place as Rahu is sitting there, which is the other axis of Ketu and represents all those things which are non-Ketu. Although Ketu represents isolation and separation, but interestingly its aspects never isolate and separate a person from the things represented by house it is aspecting. Ketu only makes a person curious and research oriented and motivates a person to research about it. When Ketu is in 6th house, they have no idea about their place of work and what career they should follow. Because Ketu is headless, they also become headless about their career or work place. They may trust people easily at their work place and it may lead to all the cheating and deceiving etc. It can also bring some illnesses of very rare nature plus they should always take the 2nd opinion when it comes to health issues. From 6th house, Ketu aspects the 10th house of career, status and father etc. and 2nd house of Family, Speech and wealth. Again, all the career oriented houses are impacted by Ketu. Hence, finding the right career path becomes a huge issue here. Tomorrow, Ketu in 7th house. Okay, thanks for replying. I can relate to it as I am having the exact same issues. @ Yashasvi - yup, updated it. Hi sir Was wondering if you have re-phrased this Article. I had read this a few months back and the explanation was different from the current one. Thanks.